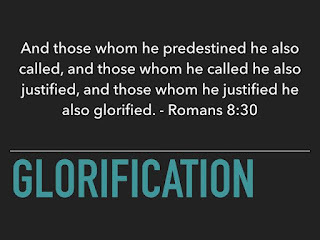 Glorification is the theological term used to describe the final removal of sin from the lives of Christians at the end of time. Dictionaries generally define glorification as a state of high or heightened honour. In biblical studies, however, glorification exists as one of three parts of the process of the Christian life that includes justification (being made right with God), sanctification(the ongoing process of being made holy), and glorification (the final removal of sin). The word "glorification" is not used in the Hebrew Old Testament or the Greek New Testament, but the idea of glorification is conveyed by the Greek verb doxazo("glorify") and the noun doxa("glory") as well as in passages that do not use any word from this root. 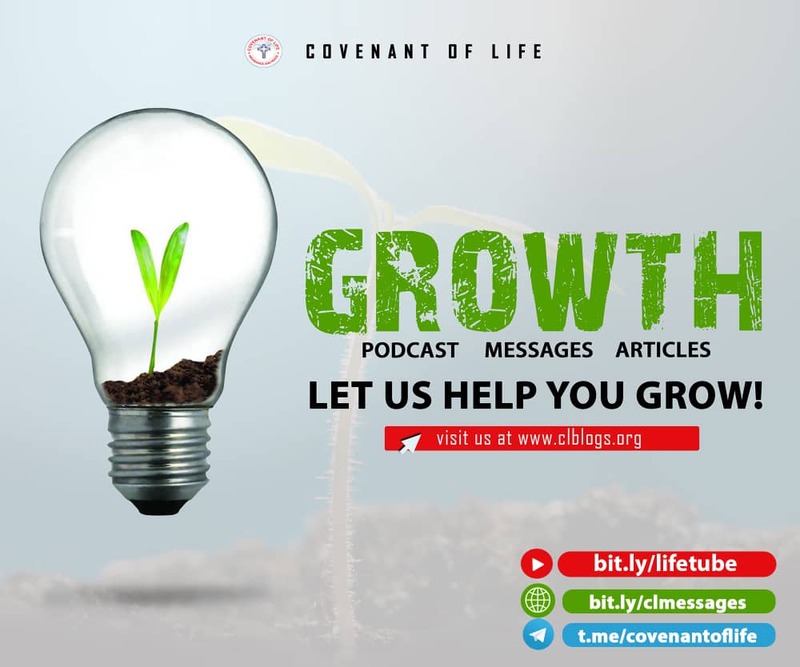 Although the Old Testament may anticipate in the theme to some extent (Psalm 73:24 ; Daniel 12:3), the New Testament is considerably fuller and richer in its development, making it explicit that believers will be glorified (Romans 8:17 Romans 8:30 ; 2 Thessalonians 1:12). Despite the fact that one of the key verses (Romans 8:30) appears to place glorification in the past(because glorification is one of the finished works of Christ), it is in all other passages seen as future, to be hoped for (Romans 5:2 ; Colossians 1:27), to be revealed (Romans 8:18 ; 1 Peter 5:1), and to be obtained (2 Thessalonians 2:14 ; 2 Tim 2:10). Specifically, glorification arrives with the second coming of Christ (Ephesians 5:27 ; Phillilians 3:20-21 ; Colossians 3:4 ; 2 Thessalonians 1:10), accompanied by the resurrection of believers (1 Corinthians 15:43) and the day of judgment (Romans 2:5-10). Its duration is eternal (2 Colossians 4:17 ; 2 Timothy 2:10 ; 1 Peter 5:10), and like other facets of salvation, glorification is the work of God (Romans 8:30). To it believers are called (1 Thessalonians 2:12 ;1 Peter 5:10), brought (Hebrews 2:10), and foreordained (1 Corinthians 2:7). God both prepares us for glory (Romans 9:23) and prepares glory for us (1 Corinthians 2:9). It is ours by inheritance (Romans 8:17). At the same time, however, we have our part to play: glorification should be sought (Romans 2:7), and it will be wrought in us through our affliction and suffering (Romans 8:17 ; 2 Colossians 4:17 ; 2 Timothy 2:10-11). Glorification involves first of all the believer's sanctification or moral perfection (2 Thessalonians 2:13-14 ; Hebrews 2:10-11), in which the believer will be made glorious, holy, and blameless (Ephesians 5:27). The process of sanctification is at work in us now (2 Corinthians 3:18) but moves from one degree of glory to another until it reaches final glory. Second, the body participates in glorification (Romans 8:23 ;1 Colossians 15:43 ; Phillipians 3:21), which is the believer's deliverance and liberty (Romans 8:21). As a result, the glorified body is immortal (Romans 2:7), imperishable, powerful, and spiritual (1 Corinthians 15:43-44). Moreover, creation itself participates in this aspect of glorification (Romans 8:21). In the third place, glorification brings participation in the kingdom of God (1 Thessalonians 2:12), even to the point of our reigning with Christ (2 Timothy 2:10-12). Finally, glorification is in some sense a partaking of God's own glory (Romans 5:2 ; 1 Thessalonians 2:12 ; 2 Thessalonians 2:14 ; 1 Peter 5:10). When will this glorification take place? Scripture indicates glorification will take place at the time of the final trumpet. 1 Corinthians 15:52 teaches this will take place "in a moment, in the twinkling of an eye, at the last trumpet. For the trumpet will sound, and the dead will be raised imperishable, and we shall be changed." When this takes place, we will experience perfect joy in God's presence. Jude 24-25 states, "Now to him who is able to keep you from stumbling and to present you blameless before the presence of his glory with great joy, to the only God, our Saviour, through Jesus Christ our Lord, be glory, majesty, dominion, and authority, before all time and now and forever. Amen." Philippians 3:20-21 talks about the changes that will take place when believers in Christ are glorified: "But our citizenship is in heaven, and from it we await a Saviour, the Lord Jesus Christ, who will transform our lowly body to be like his glorious body, by the power that enables him even to subject all things to himself." Ultimately, the body of every Christian will become like Christ's body, fully glorified in eternity. How will these glorified bodies work? Much is unstated directly in Scripture. However, some suggest that our glorified bodies will in some ways relate to the body a person has on earth. This is based on the descriptions of Jesus in his post-resurrection body. Jesus is the first resurrected from the dead in a glorified body. He is called the first fruits of creation. 1 Corinthians 15:20 says, "But now Christ has been raised from the dead, the first fruits of those who are asleep." Since He is the first fruits, we will follow. His resurrection is the promise and guarantee of our future resurrection. 1 Corinthians 15:42-44, "So also is the resurrection of the dead. It is sown a perishable body, it is raised an imperishable body; 43 it is sown in dishonor, it is raised in glory; it is sown in weakness, it is raised in power; 44 it is sown a natural body, it is raised a spiritual body. If there is a natural body, there is also a spiritual body." He retained the open wounds of His crucifixion (John 20:27-28) and therefore probably had no functioning circulatory system and would not need to eat--though He was able to eat. Since the wounds were still open, if blood circulation were still occurring, it would have been expelled from the body through the wounds. So, apparently, there is no need for functioning blood in the resurrected bodies. Also, Jesus had the ability to simply appear and disappear at will. Mark 16:14 says, "And afterward He appeared to the eleven themselves as they were reclining at the table..."
He was recognizable to His followers, even showing them the scars on His hands and side (John 20:27-28). Therefore, we can conclude that we will be able to do the same. Finally, death has no power over Jesus, so it will have no power over us in our new bodies and we will live forever, healthy, without being subject to death again. 1 Corinthians 15:51-53, "Behold, I tell you a mystery; we shall not all sleep, but we shall all be changed, 52 in a moment, in the twinkling of an eye, at the last trumpet; for the trumpet will sound, and the dead will be raised imperishable, and we shall be changed. 53 For this perishable must put on the imperishable, and this mortal must put on immortality." In truth, much is unknown about the final glorified state of the Christian's body in eternity. However, it is clear Christians will be with the Lord forever, sin will be removed. (Revelation 22:3), and the scene was powerful enough in John's vision that some of His final words were, "Amen. Come, Lord Jesus!" (Revelation 22:20). Those who know the Lord will enjoy a perfect eternity with a glorified body perfectly designed by the God of creation. Hope this opens you up?